Below is a release from the Florida Department of Transportation. The Florida Department of Transportation (FDOT) announced on Thursday that it is starting work on the Wekiva Parkway interchange, including moving gopher tortoises. “Preliminary work ahead of construction is underway near the future Wekiva Parkway interchange that will connect State Road (S.R.) 429 to Interstate 4 (I‐4) and S.R. 417 – finishing Central Florida’s beltway. Gopher tortoises relocation prior to construction is one of those activities. The excavation and relocation effort will require clearing vegetation, and using large equipment that may move in and out of traffic and drivers will need to be alert,” the FDOT announced. 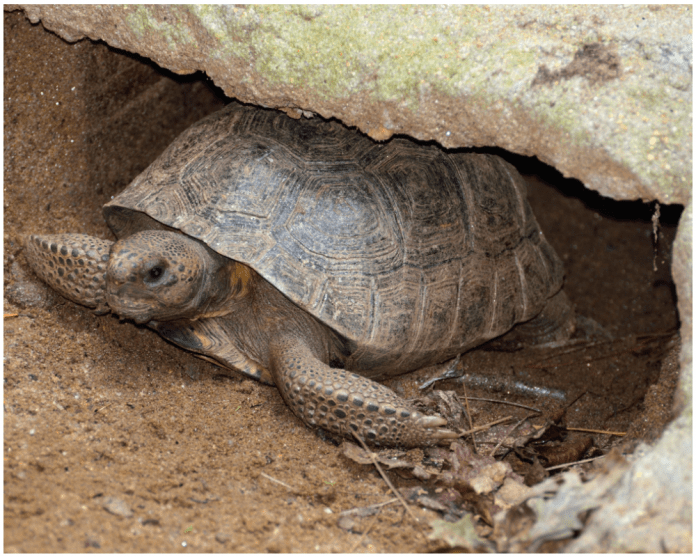 “More than 40 gopher tortoise burrows have been flagged on the project site. Only some of those are expected to be active, but could yield up to 26 gopher tortoises. The gopher tortoises, a threatened species in Florida, are being carefully relocated per state permit. The reptiles are being relocated to Camp Lonesome Phase I, a permitted recipient site in Osceola County,” the FDOT continued. “After the burrows have been cleared, the major work will begin on this $253.3 million section of the parkway. Section 8 involves building the parkway and interchange from Orange Boulevard to east of Rinehart Road. This section also includes building related improvements along I-4 – including the general use lanes for the future Beyond the Ultimate project – from south of S.R. 417 to S.R. 46,” the FDOT concluded. “Construction is expected to finish in late 2022. Work on this 2.63-mile project will include building nearly two dozen bridges, aesthetic walls and a toll gantry. The Wekiva Parkway includes all electronic tolling for the greatest customer convenience and to keep traffic moving.